For business considering the move to the Cloud there are many options. Do you go full Cloud from day 1 or stage your migration? Do you keep some services local and migrate other workloads to the Cloud? One other strategy that is sometimes overlooked is using SharePoint Hybrid, which essentially means you have both on-premise and Cloud deployments simultaneously. Microsoft recently released SharePoint server 2019, which is an on-premise version that you run on your own servers and have full control over. Historically this was the only option before Office 365/SharePoint Online. Before looking at this in more detail, let’s first understand what a hybrid deployment means. A hybrid SharePoint deployment is a connection between a server farm and Office 365. The server farm can be hosted in your own datacentre, in a private cloud, or in a public cloud such as Azure. Essentaly you have your own on-premise installation of SharePoint connected to Office 365 and SharePoint Online. 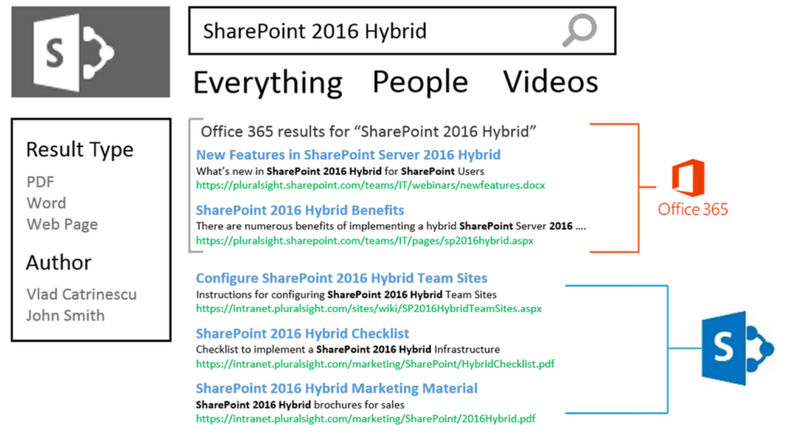 Read on for a basic overview of SharePoint Hybrid and what its features mean for your business. The Hybrid launcher is now be configured to sync more closely with the one in Office 365. 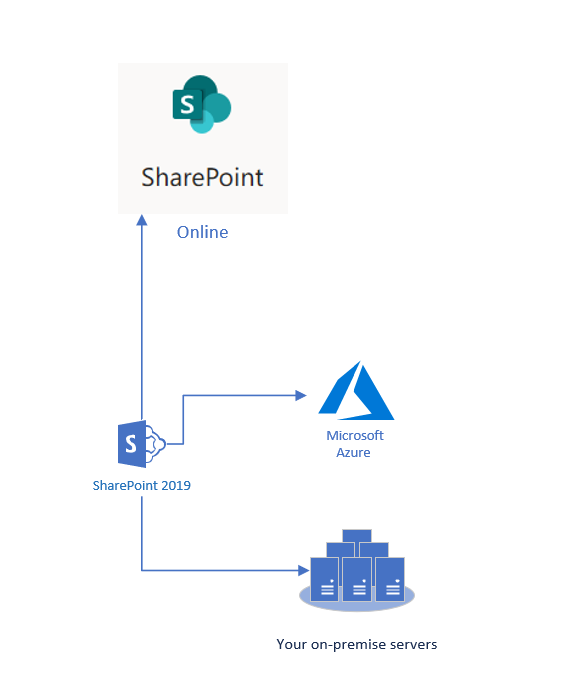 Some links will be present in both Office 365 SharePoint Online and SharePoint 2019 on-premise. SharePoint On-premise has a local version of OneDrive for business, meaning that the data for a user’s OneDrive is stored on your own server. There is now also a new option to disable this, while seamlessly redirecting to OneDrive for Business in Office 365. Users can now be forced to create all new sites in the Office 365 Site creation page. This ensures that all new sites are stored in SharePoint Online. SharePoint administrators can now push audit logs from the on-premise servers to Office 365. All audit logs can now be viewed in one place, reducing the admin overhead. This feature is still in preview and will probably be available later this year. Admins can now run a PowerShell command that will let them migrate their on-premise content types and Taxonomy to SharePoint Online. Whenever new terms or Content Types are created these are periodically copied back to the on-premise environment. As both copies have the same IDs they will work seamlessly with any custom SharePoint framework developments added to your environment. This service allows you to pull data from external sources (e.g. SQL) and display it within a list in SharePoint Online, this allows users to view/edit that data from anywhere they have an internet connection. SharePoint 2019 allows for the configuration of “Federated Search.” When this is enabled and a user searches, they will see results from both SharePoint Online and on-premise. The search result data is only stored in the location where the search results are, which means that if you search for a document that is in an on-premise library, the search results will stay on-premise. When configured this way the user will see two sets of results. The other option for hybrid search is to configure what is called “Cloud Hybrid Search.” Once this is configured SharePoint 2019 pushes a copy of its index to Office 365/SharePoint Online where it is merged with the SharePoint Online index. Since the index is now all in one place, users will have access to other Office 365 capabilities like Delve. Another consequence of this configuration is that the user will see only one set of search results. We plan to discuss this in more details in a future blog post. The last area of improvement that we are going to look at is PowerApps and Flow. SharePoint 2019 can be configured to allow gateway connections from other services such as flow and Logic Apps. 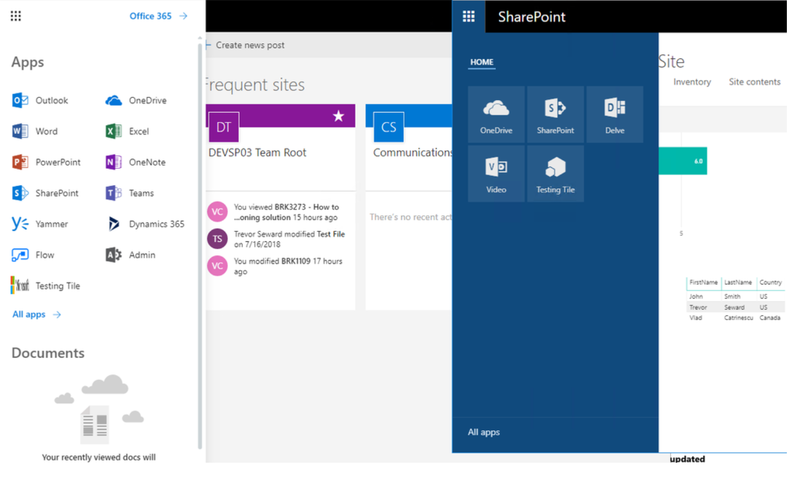 Once configured, users will be able to build new Flow workflows and LogicApps that connect to SharePoint 2019 via the gateway. Most of the built-in triggers are available for use once this is configured correctly. For more information about the benefits of SharePoint, please download our free guide. 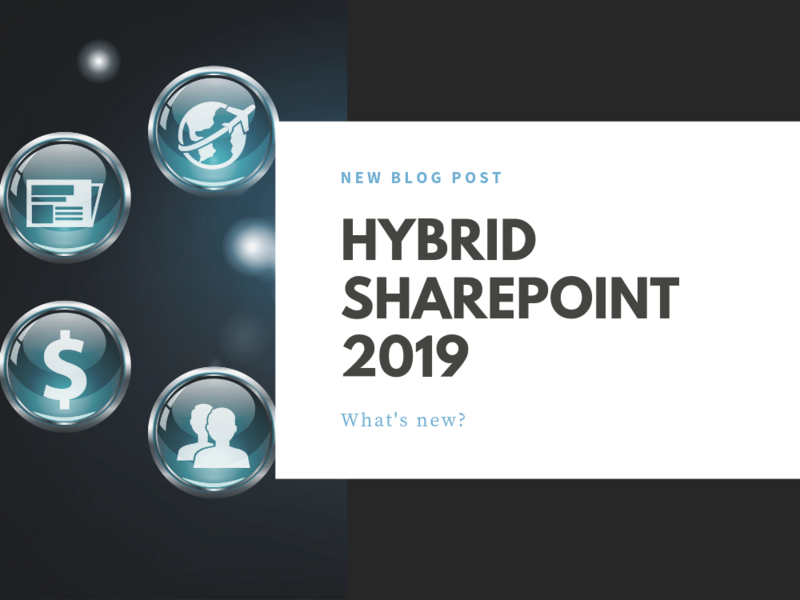 0 Comments on "Hybrid SharePoint 2019 – What’s new?"